With the increase in magazine and television diet pill ads, many people are wondering, "Does Hydroxycut work?" If only there was a simple answer. In reality, reviews are mixed and weight loss really depends on a few factors. Dieters should use Hydroxycut along with a healthy diet and exercise program. When Hydroxycut was first introduced, users reported rapid results. The problem? Ephedra was the active ingredient. After dieters experienced dangerous cardiac side effects from using Ephedra, the FDA banned the supplement, and Hydroxycut was pulled off the shelves and completely reformulated. Since then, various studies have tested the effectiveness of Hydroxycut's new active ingredients. In 2004, three groups of dieters were subjected to an eight-week weight loss study that consisted of a 2000 calorie diet and a walking regimen. In addition, the dieters took supplements: the first group used an extract of Garcinia cambogia; the second group used a combination of Garcinia cambogia, chromium, and Gymnema sylvestre, the active ingredients of Hydroxycut; and the third group was given a placebo. In the end, all three groups lost some weight: the first group lost an average of 12 pounds; the second group lost an average of 15 pounds; and the third group lost three pounds. Clearly, Garcinia cambogia was a weight loss instigator and the combination treatment was even more so. It is important to note that there is a big difference between controlled clinical trials and everyday life. While impressive study results count for something, a diet pill-or a diet, for that matter-must stand up to real life in order to be truly successful. If a diet pill has so many side effects that you have to stay in bed, for example, then the resulting weight loss is really irrelevant. That said, LoveToKnow Vitamins checked online message boards and website reviews to see how Hydroxycut stood up to real world testing. We found that, in general, dieters either love this supplement or they hate it. There is little in between. Dieters who loved Hydroxycut report a reduction in appetite and an increase in energy, two critical components of weight loss. Most reported weight loss in the range of two to five pounds per week. While that is slightly more than the usually recommended one to two pounds per week, it is not an alarming rate of loss. On the other hand, many dieters reported that they did not see results at all with continued use of the product. It could be that these people did not use a reduced calorie diet or an exercise program, or it could be that the pills do not work for everyone. 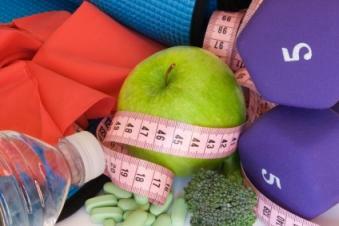 Unfortunately, it is difficult to determine the reason a weight loss supplement works for some and not for others. Other reason for some negative reviews of Hydroxycut is side effects. Many users noted that they were unable to continue using the supplement because of worrisome side effects. Even among those who love the pills, most users reported at least a few medical side effects of Hydroxycut. These range from the annoying, such as headache and acne, to the alarming, such as heart palpitations. Most of the side effects are related to the caffeine content. If you experience alarming side effects, discontinue using the product and see your doctor. On May 1, 2009, the Food and Drug Administration (FDA) issued a warning to consumers to stop taking all products sold under the Hydroxycut name. Fourteen products manufactured by lovate Health Sciences Inc. were recalled after the warning was issued. The FDA received 23 reports of people experiencing liver failure or liver damage after taking Hydroxcut products. Symptoms of liver problems include jaundice (yellowing of the skin and the whites of the eyes), vomiting, fatigue, stomach pain, and weakness. Anyone taking Hydroxcut and concerned about side effects or symptoms should consult a physician immediately. The complete statement from the FDA may be found here.